Club Tapiz is located in an estate built in 1890 surrounded by 22 acres of vineyards. The house was restored preserving its structure of Renaissance-style Villa, and maintaining vintage elements such as the patio and pinewood floors. VIK Millahue Chile is a holistic vineyard located approximately 200 km to the south of Santiago de Chile in the Valley of Millahue. The property totals 4,325 hectares or 11000 acres and comprises of beautiful valleys, lakes, vines, hills, forests and majestic mountains. 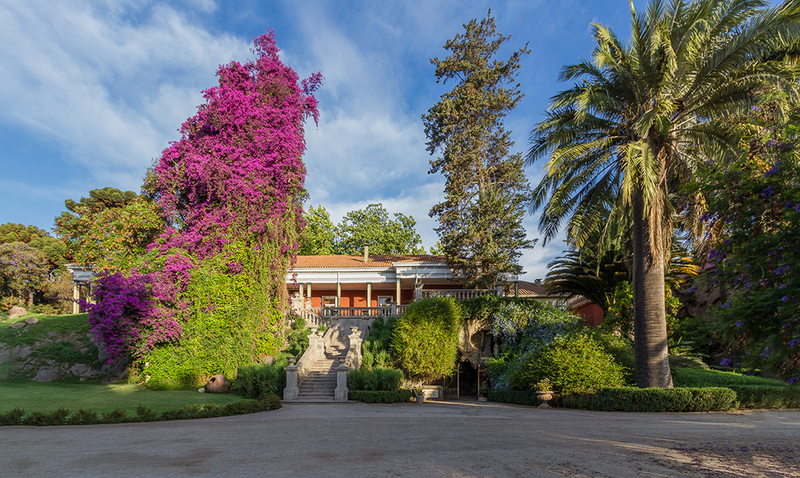 Hotel Casa Real is located at the Santa Rita Winery in the Maipo Valley, 45 minutes from Santiago. 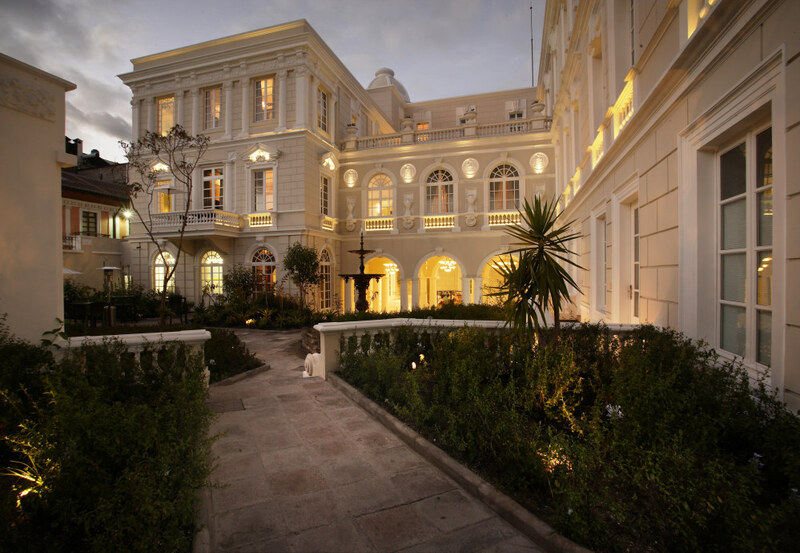 The hotel has 16 elegant and recently refurbished rooms, and its perfectly preserved late 19th century Pompeian style makes it one of Chile's unique historic monuments. Vira Vira is a Hacienda Hotel that offers an all-inclusive program set in a marvellous native park and surrounded by stunning volcanoes, right along the shores of the peaceful Liucura River. 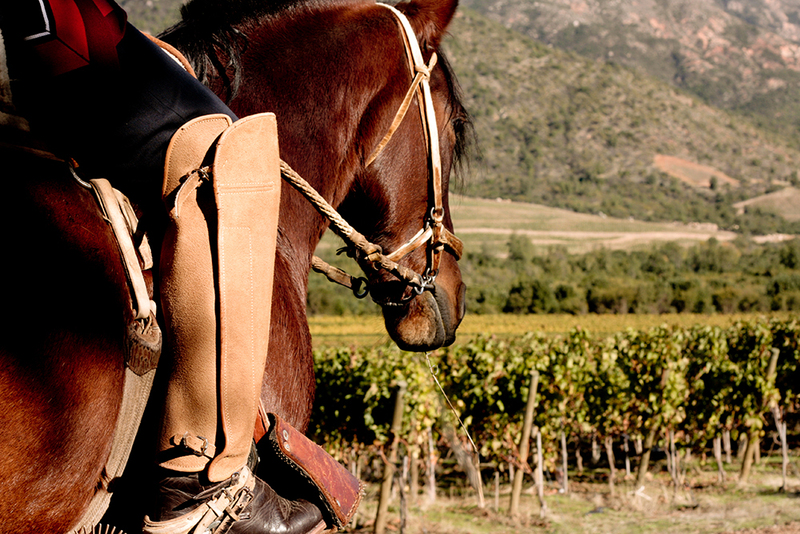 Argentina Holidays would not be the same without a stay in a traditional Estancia. 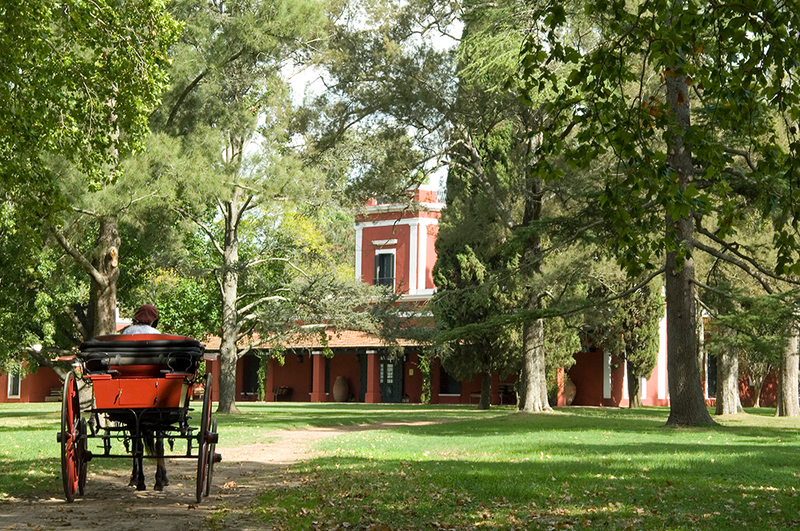 Back in 1830, Estancia La Bamba de Areco lay on the Camino Real (Royal Road) that connected Buenos Aires to Northern Argentina. Today, this is one of the oldest Argentine estancias (ranches) in the area. 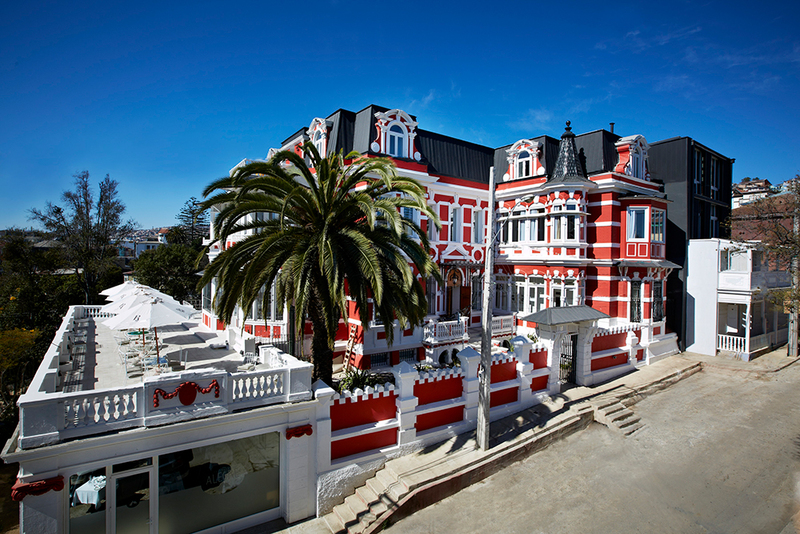 Located in the historic quarter of Valparaiso, UNESCO World Heritage site, Hotel Palacio Astoreca was built in 1923 as a Victorian mansion, later declared national heritage and then recently converted in a boutique hotel after a 3-year restoration plan. Opening its doors to the public in September 2012. 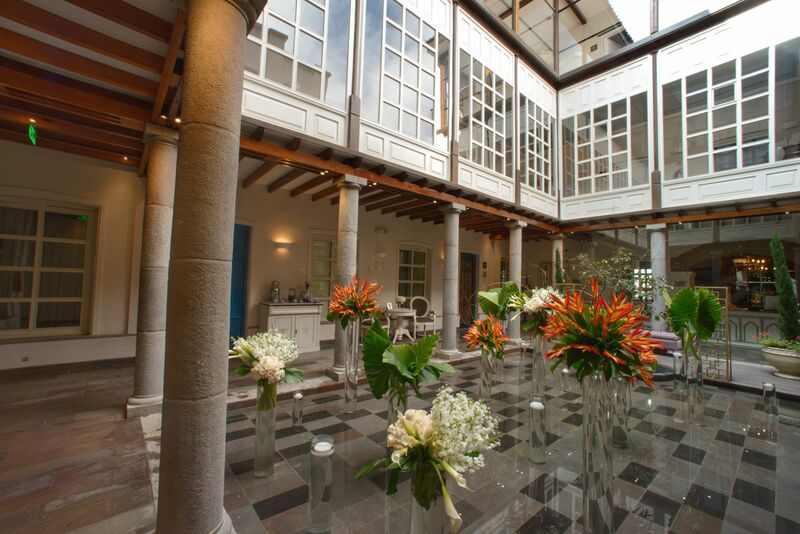 Beautifully and eclectically-appointed, the hotel invites its guests to explore and relax, whether in the dining room, the glassed-in patio, the garden, the elegant indoor sitting room or atop its panoramic third-floor terrace with show-stopping views of Quito. 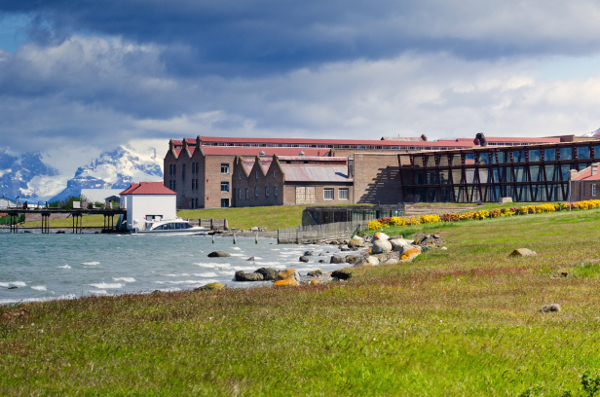 The Singular Patagonia is a five-star luxury hotel in Patagonia, located just outside Puerto Natales. The building was originally the former home of the Frigorifico Bories - a cold storage plant built in the early 20th Century. Today the building has been extensively restored and transformed into a spectacular hotel, that embraces the history and culture of the area. 12 Day Chile Holiday including Santiago, Atacama Desert, Valparaiso and the Chilean Wine Region. 12 Day Argentina Holiday including Buenos Aires, Iguazu Falls and Mendoza Wine Region. Click here to see the holiday. 12 Day Peru Gastronomy Holiday including Lima, Arequipa, Cusco, Moras Moray, Ollantaytambo, the Sacred Valley and Machu Picchu. 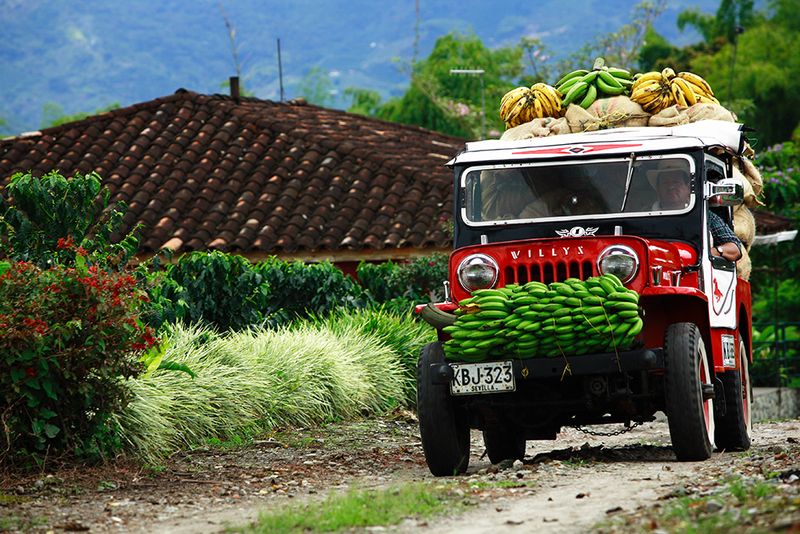 11 Day Holiday visiting Bogota, The Coffee Region, Cartagena and Tayrona National Park. 7 Day Uruguay wine Holiday visiting Irurtia Bodega Winery, El Legado Winery, Juanico Winery, Bouza Winery and Varela Zarranz Winery. 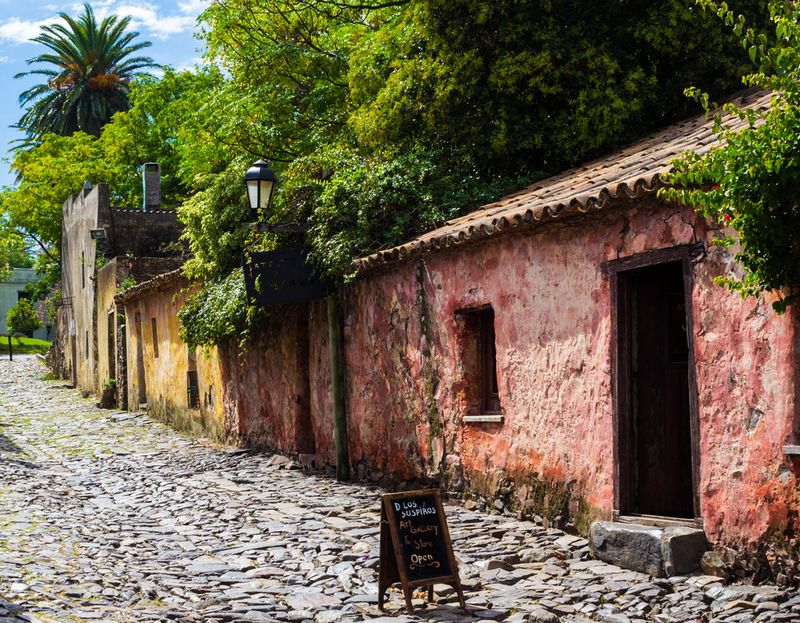 South America is a mouth-watering continent, its geographical smorgasbord and vibrant mixture of cultural flavours makes it the perfect place to go on your next culinary escapade. Whichever corner you turn to you are only moments from a truly unique culinary experience that you won’t find anywhere else. Peru is enjoying a real moment in the gastronomic limelight. Argentina with its rolling pampas, asado and Malbec is a must visit for beef and wine connoisseurs the world over. Chile is the home of delicious Carmenere and along with Peru lays claims to the refreshing Pisco Sour. If seafood is your forte, Chile should be on your radar. Its coastline is one of the richest in the world. The Humboldt current flows up the coast from Antarctica and brings with it nutrients and a bountiful catch, much of which ends up on local plates. Uruguay, whilst often overlooked in favour of its larger neighbours, is famed for its cattle, which produce delicious beef and cheese, whilst its boutique vineyards producing astoundingly good wine. The continent's chefs many of whom are regarded as some of the best in the world including Francis Mallmann who runs restaurants across the continent is renowned for his perfection of the Argentine asado. Virgilio Martínez makes exotic concoctions in Peru and runs a Michelin starred restaurant in London. Alex Atala transforms ingredients from his native Brazil with a truly international flair. The street food is equally delicious with many a delicacy served up in the markets and squares. South America is the home of chocolate with the cocoa bean growing in the dark rainforests of the Amazon. Peru you can see the beans transformed into a gourmet bar by a master chocolatier and even try your hand at making one for yourself. If you adore coffee, why not stay on a Hacienda and wake up to the smell of a delicious cup that grew just a few feet from your window? Argentina is famous for its production of tantalising wines and if you are partial to a glass of wine, it is certainly the destination to visit. As the world's fifth largest wine producer by volume, over the last 10 years, Argentina has become a serious contender in the international wine market. The Argentine wine industry is now reaping the benefits of its heritage; its old vines, its unique geographical conditions and with new technology and a mix of modern and traditional methods. If you have an interest in wine, Latin Routes can recommend destinations, wine lodges, and even the best varieties of wine to try during your trip. We can even tailor a private or group wine tour for you if you want this to be your focus. Mendoza is the most well known of the Wine regions in Argentina, accounting for almost two-thirds of Argentina's wine production. Situated at the eastern foothills of the Andes Mountains, and towered over by Mount Aconcagua, vineyards sprawl across the region. 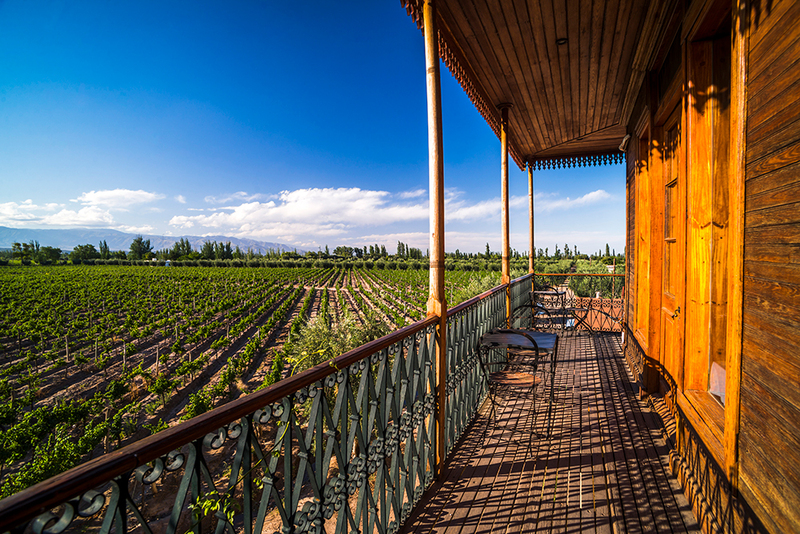 The main areas to visit are the wineries and vineyards in Maipu and Lujan where you can choose to stay in a charming wine lodge or do a day's wine tasting tour. Malbec is the region's most important planting followed closely by Cabernet Sauvignon, Tempranillo and Chardonnay. Mendoza is considered the heart of the winemaking industry in Argentina with the vast majority of large wineries located in the provincial capital of Mendoza so Latin Routes does not recommend a visit to Argentina without sampling some of the finest wines in this area! Have a look at the Cavas Wine Lodge in Mendoza, which is a popular place to enjoy in this area. Located in the West of Argentina, San Juan province is the second province by volume of wine production at the national level and in South America after Mendoza, and it produces some outstanding varietal wines. San Juan has more than 46,000 hectares of vineyards that are located from 600 metres above sea level in the Tulum Valley to approximately 1,400 metres above sea level at Pedernal Valley. 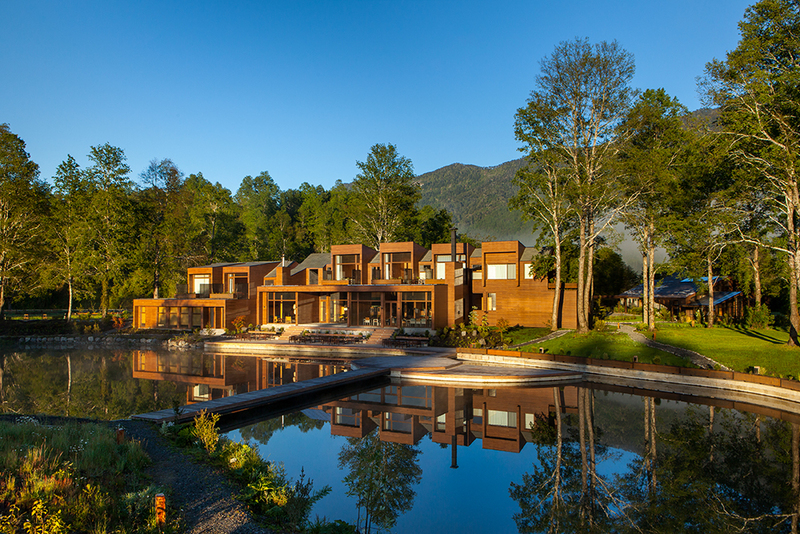 If you fancy the idea of an understated wine lodge or you have been to Mendoza, visit San Juan. Located at the bottom of the Velasco Mountains, the region of la Rioja encompasses all types of terrain from rivers to valleys to beautiful mountain ranges. The Famatina Valley has become the most famous wine region of the province and there are a few wine lodges and vineyards to visit here. The climate is dry and hot, relatively windy, and soils are alluvial. The height is definitely considerable, from 800 to 1,400 metres above sea level. Torrontes is the most cultivated wine variety, although Malbec, Syrah, Bonarda and Cabernet Sauvignon are developing well too. The wines of Rioja are alive with the flavours of the territory. The vineyards and wine cellars are open for tourists and present the essence of all the local varietals. This wine region is located around Salta in the North West of Argentina. The vine growing area begins at 1,500 meters above sea level and extends beyond 2,000 metres. The Calatasta and Aconquija mountains ranges are the natural boundaries of these valleys which makes it a popular place to visit for its pituresque views and stunning scenery. The annual average temperature is 18 ºC. Fine sandy, thick and thin soils with good drainage prevail throughout the area. The main wine areas are Cafayate, Santa María and Colomé and the area covers approximately 4,120 hectares of vineyards. The main variety produced in this area is Torrontés, the typical white argentine variety. Catamarca valleys are located at the base of Ambato Hill and next to the Del Valle river a[pproximately 1600 metres above sea level. The valley offers a relaxing atmosphere, with mild temperatures and surrounding mountains which makes it ideal for wine production. The most favoured areas of the province are Tinogasta, Santa María and Fiambalá, where soils are sandy and stony, perfect for fine wine growing. The wines of the region reflect the presence of land and climate. The most predominant grape varieties, spread around 2,300 hectares of vineyards for you to visit, are Torrontés, Syrah, Malbec and Cabernet Sauvignon.